But London and her family preached patience. They waited for other offers to come in. Eventually they got the one they were looking for from Iona. On Thursday, London made an unofficial visit to the Division I school in New Rochelle, New York, and gave her verbal commitment before leaving the campus. Iona has some Connecticut connections on its roster. 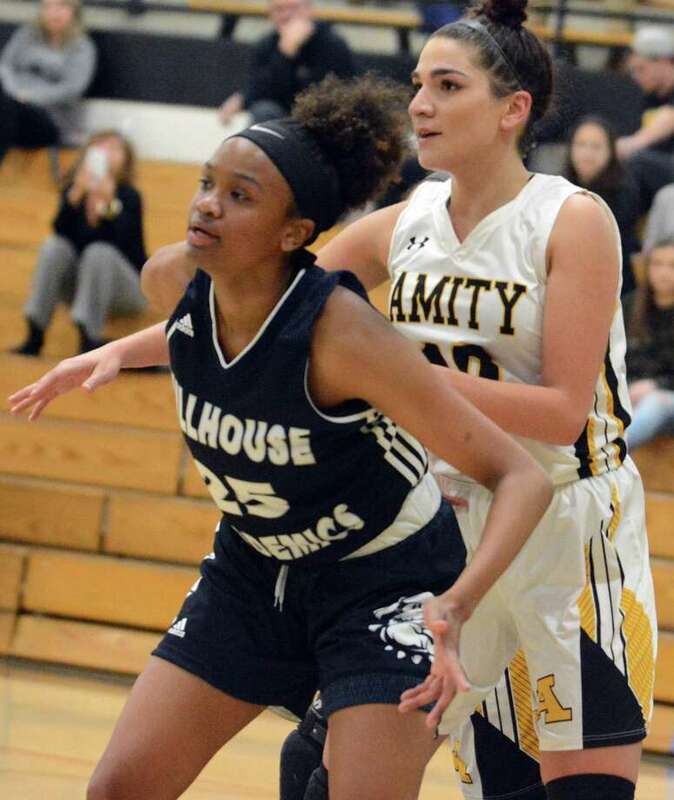 Adrienne DiGioia is a sophomore guard from Branford, Gabrielle Joseph is a freshman forward from Notre Dame-Fairfield and assistant coach Allan Chaney is a former Register All-State selection out of New London (2007-08). London, 17, is averaging a double-double (17.1 points, 12 rebounds) for the Academics. She becomes the first Division I player from the program since both Bria Holmes (West Virginia) and Colleen Smith (Chicago) in 2012. London said Iona didn’t have a scholarship available for her last summer, but once one became available, the school out of the Metro Atlantic Athletic Conference came and saw London at three games this season. The 5-foot-11 London said she was told she would be used at the guard position. London said she will major in mass communications with the goal to become a TV sports reporter. She said had Iona not made a scholarship available, she would have probably taken a post-graduate year at a prep school. She had also considered leaving Hillhouse and reclassifying at a prep school. “But I didn’t want to do my junior year over. I wanted to finish at Hillhouse,” London said. London will sign a National Letter of Intent in April.